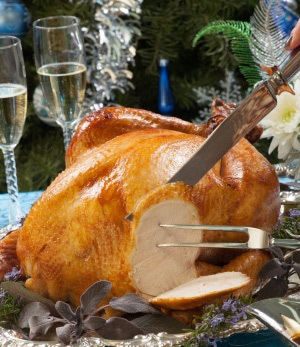 Turnbull Turkeys offer a wide range of prime, farm fresh table poultry reared in the heart of the Suffolk countryside. All have space, fresh air and sunlight. We feed our turkeys on our own home produced food with no artificial growth promoters. Fattening takes at least 22 weeks. These factors all ensure the best possible flavour and texture. We are a family run business, supplying to retail farm gate sales, business Christmas Gifts and butchers for over 50 years. Prepared on farm where birds are dry plucked by hand & carefully stored under refrigeration for at least 7-10 days. All these factors ensure your Christmas turkey has excellent flavour and texture. We look forward to receiving your order at your earliest convenience and assure you of our quality farm fresh poultry and excellent service. To place your order please visit our online shop. With excellent flavour and texture, perfect for your Christmas and New Year celebrations.